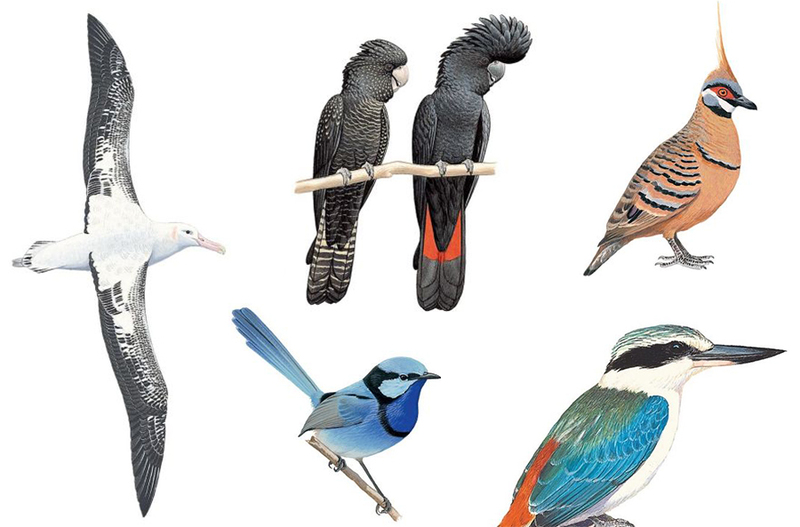 Some of the nearly 4700 illustrations found in The Australian Bird Guide. Clockwise left to right (and not to scale): Wandering albatross, female and male red-tailed black cockatoo, spinifex pigeon, red-backed kingfisher and splendid fairy wren. Hooray, the summer holidays are upon us. For many, it’s a chance to rest, recover, and take some time to enjoy the company of family and friends. For others, it’s a wonderful chance to get out and explore our beautiful country and its incredible flora and fauna. If it’s been a particularly demanding year and unwinding seems almost improbable, then why don’t you take some time to relax and lose yourself in a good read? Some studies suggest that reading can reduce stress by 68 per cent, so what could be a better New Year’s resolution? To help inspire you the team at CSIRO Publishing has put together a list of Summer Reading suggestions to get you in the holiday mood! Delve in to an ecological detective story in A Bat’s End, the compelling story of the extinction of the Christmas Island Pipistrelle. Or be captivated by the story of Australia’s most elusive bird – the Night Parrot, and the adventures and triumphs of its followers. If a ‘staycation’ is on the cards, you can still go on an armchair journey through four continents in Birds in Their Habitats , a book filled with humour and insight about the sometimes strange world of the people who spend their life absorbed in birds. Birds! Did you just start twitching? No wonder, Australia is a wonderful place to go bird-watching and the award-wining Australian Bird Guide is the must-have accessory when you are out in nature this summer. But if feathers don’t ruffle your fancy, how about trying some mammal-spotting! Yes, it’s a thing. But you don’t need to be into wildlife to get out and explore Australia – discover some of the best walking tracks and trails in Victoria, NSW and the Queensland Tropics. If the outback is more your style you can follow in the footsteps of Burke and Wills. And while the scenery may be spectacular, sometimes it is a good idea to look down, especially if you are interested in the spectacular flora of Victoria’s High Country. But let’s not kid ourselves, we all know the summer holidays can sometimes be looooooong, especially for parents. Keep the junior scientist entertained with 50 Kids’ Activities from CSIRO, in Hands-On Science or a subscription to Double Helix magazine! CSIRO Publishing also has an amazing range of children’s books that will entertain and inspire the future scientist or little conservationist in your life. The summer holidays can also be a great time for kids to become explorers in their own backyard – discover bees, birds, beetles and spiders. Just watch out for snakes! So no matter what you get up to this summer, CSIRO Publishing has the books to keep you entertained.